If you want your son or daughter to succeed in college, there are 40 public school districts you may want to avoid. In an analysis by Bridge Magazine and Public Sector Consultants, these 40 districts, spread across the state and ranging from urban to rural, scored in the bottom rungs of four different college-readiness measures. 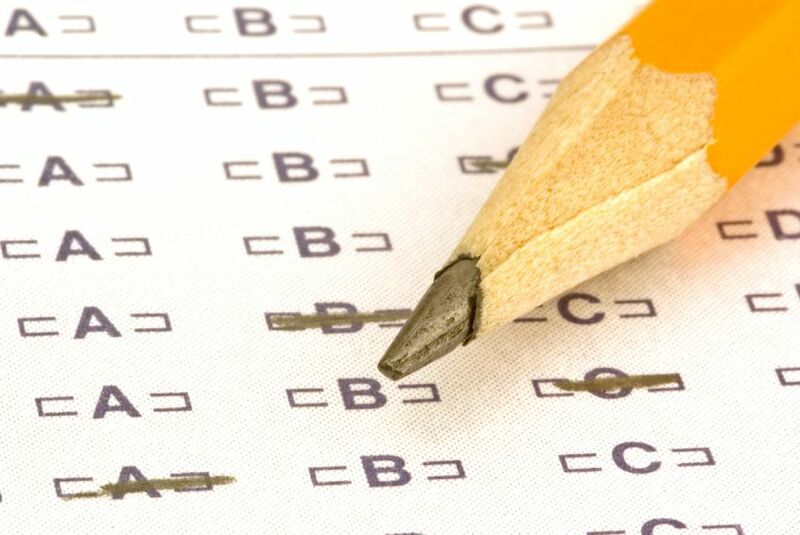 To gauge college readiness, Bridge analyzed district-level data on the percent of students considered “college ready” by ACT scores; the percent considered proficient or higher on the Michigan Merit Exam; graduation rates; and the percent of graduates enrolling in public colleges taking remedial (high school-level) courses on campus. Among 515 public districts that had complete information, 40 had scores in the bottom quarter in all four categories. Among those schools were troubled urban districts such as Detroit, Flint and Lansing, suburban districts, including Ferndale and Oak Park, and rural districts such as Atlanta and Wolverine. In nine districts, fewer than one in 10 students were proficient on the Michigan Merit Exam (the state average is 39 percent). More than half of the students in 39 of the 40 districts enrolling in college took at least one remedial course. Seven of the 40 schools had zero students considered “college ready” by standards set by scores on the ACT. That doesn’t mean no student from River Rouge, Benton Harbor or Buena Vista gets a college degree -- but it does mean the odds are stacked against them. Madison Public Schools, in Madison Heights in the suburban Detroit area, is among the districts struggling with college readiness. There, 63 percent get a diploma, and 15 percent are considered MME proficient. “The numbers reflect the demographic, not the ability of the kids,” said new Madison superintendent Randy Speck, the district’s 11th superintendent in eight years. In Madison schools, 44 percent of the students who start the year in September have left the district by June. “What does success look like for a kid we only have for eight months?” asked Speck. He hopes to focus reform in the elementary schools. “It’s ridiculous to start thinking about college readiness in ninth grade,” Speck said. Godwin Heights was named an Academic State Champion by Bridge Magazine last fall for outstanding scores in fourth grade reading, writing and math. But the district is on the opposite end of the scale in college readiness. In the district, located in Grand Rapids, 47 percent of students graduated in 2011; 8 percent of juniors taking the ACT were deemed college-ready; and 24 percent were MME proficient. Of those who went on to a state university or community college, 53 percent took remedial courses. “We need to do better -- we’ve known that for some time,” said Godwin Heights Superintendent Tim Fetterhoff. “It doesn’t help that we probably have one of the lowest socioeconomic statuses and levels of education of parents in the (Kent County). When individuals are challenged with keeping a roof over their heads and putting food in their mouths,” college readiness isn’t the highest priority, Fetterhoff said. Economic issues are a clear theme in the results. Thirty-nine of the 40 districts have more students receiving free lunch than the state average of 42 percent. In 19 districts, more than 75 percent qualify for free lunch. Like many struggling districts, Godwin Heights is chafing at new standards that seem aimed at increasing readiness for attending the University of Michigan, while hobbling the schools’ ability to provide vocational education. I couldn't agree with you more. I think that my children were ready for college but chose to send them to Community College first. It was a great transition for them, earning an associates degree before going on to a university earning their bachelors degrees (and one a masters). These stats appear to be from the public schools. What about the Charter, Cyber, Private and Home schools? How well do they prepare students for college, I'm sure if all education sources were considered for this report the stats would have been a lot different. Certainly with so many options for educating our children in Michigan all should be considered. Unfortunately I think that these options for educating are utilized by the more fortunate, leaving the public schools for educating those who don't have the option to attend private schools or be home-schooled leaving the Public schools disproportioned. As a teacher in one of the districts (Godfrey-Lee) on this list, I would like to discuss a few things from this piece. I am glad that The Center for Michigan is focused on student improvement. It is an issue that concerns us all and I know that my colleagues and I are focused on it every day. What I question is the use of the Class of 2011's ACT and MME data in labeling a school as "failing" or "faltering". I can't dispute that during this year, students had low test scores. The scores were low enough for us and many other schools to be placed on the State's 5% list. With the publication of this list, we were invited to apply for a School Improvement Grant (SIG) to help us address the needs of our students. That June we completed the grant application and were later granted the money to make positive changes within our school. Since then, we have introduced research-based and proven methods to boost student achievement. Some examples: - Read180/System44: Reading programs designed and tested by Scholastic to assist struggling readers get back up to grade level. - Carnegie Math: Individualized math programs for Algebra with additional support staff to assist teachers. - Freshman Leaders: Staff and students to support students as they make the transition from middle school to high school. - STEM Teaching Fellows: Post-Graduate potential math and science teachers working and learning in these classes with students. Since these programs were initiated, we moved from the bottom 5% of the state to the 33% and off the list next year. Still not where we wish to be, but a significant improvement. I would guess that based on this we would not be placed on this "failing" 40 list. I will not dispute the past. We were called to table for it and it was put out in the media. I just hope people do not question sending their children to our district based on the results of 2 years ago. We are working to prepare our students for tomorrow and using data to drive our mission. We just want the data to reflect an accurate picture of our present. I applaud your effort to talk about college readiness, however, when comparing to other states it is not a requirement for all students in other states to take the ACT. So, for instance a high school in state X might only have 50% of the students take the ACT and the % college ready would significantly increase and in comparing a high school in Michigan which requires 100% participation the comparisons are not the same. Also when you are comparing scores for a district you are taking into account alternative schools in Michigan--is this a fair way to average the scores? Ron, How many of the stats do you think are really influenced by alternative ed programs in a district? My school has a big alternative ed program. Such as, are alternative ed kids required to take the MME and ACT tests? What % of alternative ed students actually go on to a public college to influence the remedial class metric? I think you understand my line of questioning. Could you give me your opinion on which metrics probably wouldn't be much different if there was no alternative ed program in the district? Also, could you give me a link to the actual raw data that you analyzed for your report?